MANILA, Philippines – The Office of the President (OP) has not yet liquidated P155.7 million worth of fund transfers under the previous administration, a bulk of which were from travel expenses of former president Benigno Aquino III. This is part of the 2016 audit report of the Office of the President (OP), released by the Commission on Audit (COA) on July 11. 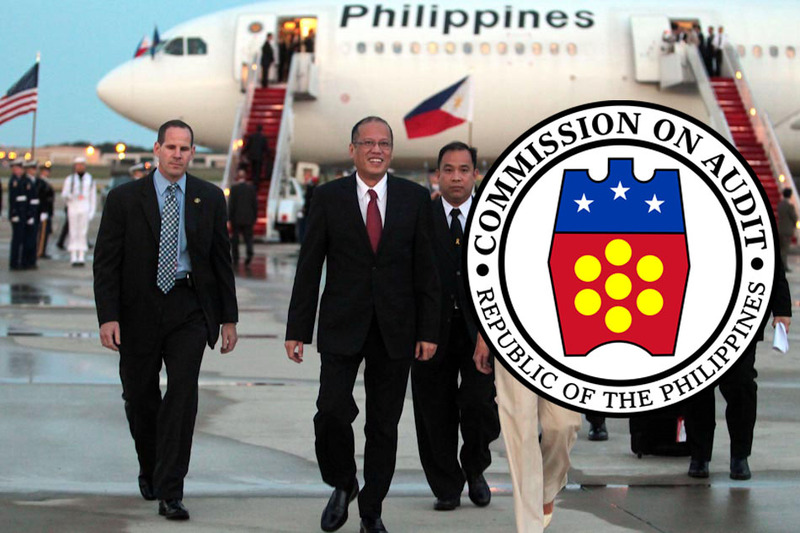 The amount includes P138 million in unliquidated fund transfers for Aquino's foreign travels. The funds were transferred to Philippine embassies and consulates during Aquino's travels abroad from 2011 to 2015. COA said the amount has yet to be liquidated as of December 31, 2016. "Since all Presidential foreign trips during the past administration were completed, the said amount should have been expended. However, settlement thereof could not be made due to the non-submission of the liquidated reports or the disbursement reports of the authorized Special Disbursing Officers of the DFA," COA said in its 2016 OP audit report. The remaining amount, or P17.7 million, came from funds that were transferred to agencies that Aquino abolished in the first year of his presidency. Under the EOs, the abolished agencies should have wrapped up their operations including full liquidation of assets and liabilities. Among these agencies, the Presidential Anti-Smuggling Group has the biggest unliquidated funds – P9.9 million as of December 2016. The Luzon Urban Beltway Super Region has P5.9 million unliquidated fund transfers, while the Presidential Anti-Graft Commission has P1 million. There are also separate unliquidated fund transfers to agencies and commissions created under past administrations but are no longer operational or existing, totaling P16.1 million. Since these agencies and commissions were not included in Aquino's EOs in 2010, they were not included in Rappler's computation of P155 milliion unliquidated fund transfers during Aquino time. The Melo and Atlas Commissions, were created during the time of former president Gloria Macapagal-Arroyo. The Melo commission, formed to investigate the spate of extrajudicial killings during the Arroyo administration, has the biggest balance of P4 million. All in all, the unliquidated fund transfers to non-existing agencies stand at P33.8 million. "Audit showed that the balance as of December 31, 2016, of the Due from the National Government Agencies (NGAs) include P33,899,163 unliquidated balances of fund transfers to said abolished agencies and task forces," COA said. According to COA, the OP has agreed to create a monitoring team which will focus on the accounting of liquidation of the fund transfers.